Took a short trip up American Fork canyon this morning before work. If you get off the packed trails you sink upto your hips, but if you stay on the trail the riding is great. 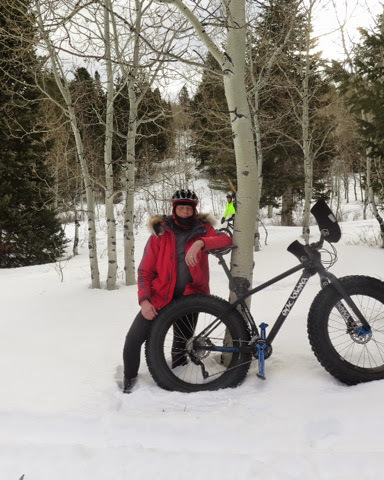 It is so cool that snow biking has taken off in the last couple of years which has made American fork canyon a summer fall and winter biking playground. I was just gifted a copy of your book yesterday and I should be finishing in the next couple of days. I have been inspired by your experience and dedication to your goals, so much so that I have set a few goals (not as ambitious as your south pole adventure) to change my sedentary lifestyle. I will be in your shop soon to look at a couple of bikes.